A gift for my brothers birthday. 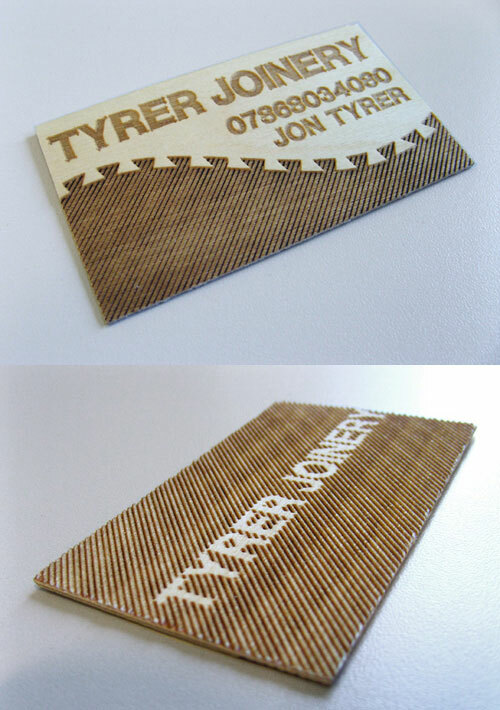 I thought a quirky and tactile wooden business card would make him more memorable than his fellow joiners. Etched onto reclaimed pieces of marine plywood.